VED Tax band increases for 2015/16 have been confirmed in the 2015 Budget. Those cars registered after March 1st 2001 fall into the VED band structure that goes from Band A (no road tax applies) to Band M (first year VED rate of £1,100). The chancellor announced that Bands H-M will increase in cost in line with inflation. That means for bands H-K the cost goes up by £5 for the first year tax, while bands L and M increase by £10. Annual road tax costs have increased by a fiver only for bands K, L and M. Recent changes to the law mean it's no longer a requirement to display the paper tax disc in the windscreen. 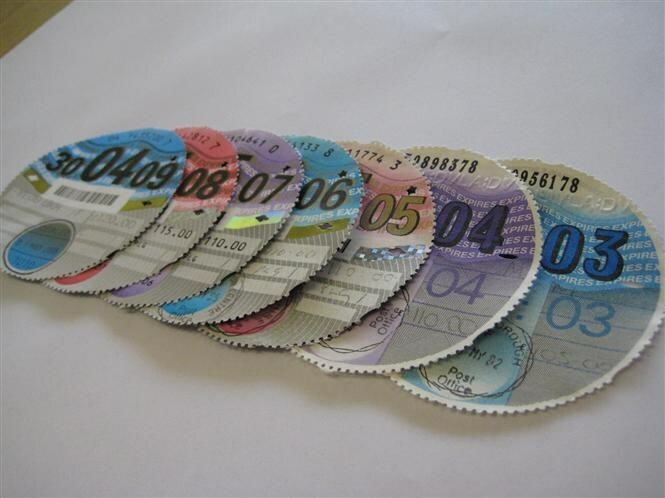 The government announced the end of the iconic coloured paper roundel in 2013 at the same time as revealing car owners can pay for their car tax in monthly instalments via direct debit as well as purchasing a six-month licence. The most cost-effective way of paying for your car’s VED licence is to pay for the full 12 months and to find out how much it will cost you to tax your car see the table below. To renew your car tax online click here.